The new product lines of Dell, a well-known direct distributor, with a 'z' in their name are designed with one purpose in mind: an extraordinary good balance of mobility and performance. While the Inspiron 11z and Latitude 16z are already available for some weeks, the product range has now been extended by a model of the popular 13-inch category called 13z. The following test will reveal how successful this new subnotebook can cover the span between performance and mobility. The test model on hand is equipped with Intel's Core 2 Duo SU7300 CPU and Nvidia's Geforce G105M graphic card, which should not only bring a useful performance about, but together with the capacious 80 Wh battery also ensure a convenient battery life. 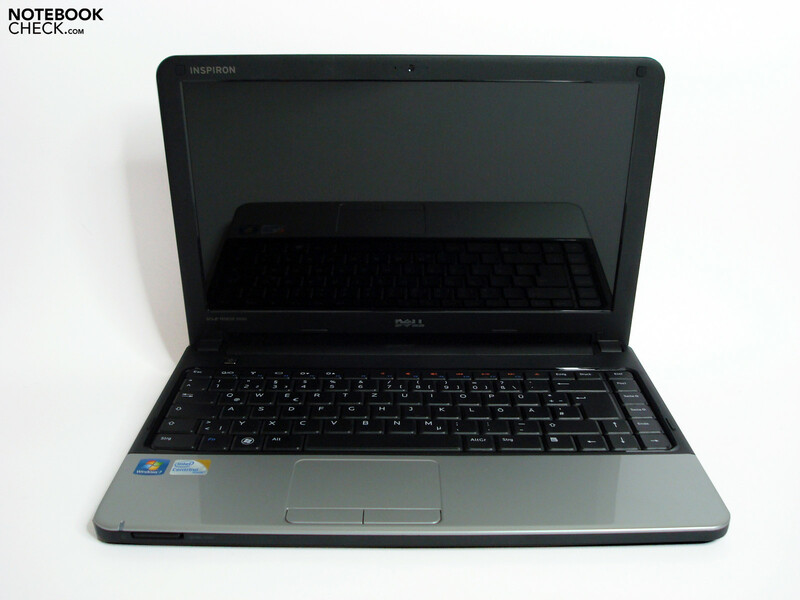 Typical Dell, it is possible to configure the Inspiron 13z quite freely and therewith adjust it to the customer's needs. The entry-level model costs about 550 Euro plus postage and packing. However, compared to the reviewed model, which costs 760.- euros, it only comes with a smaller 37 Wh 4-cell battery, merely 2GB RAM, Intel SU 4100 CPU, and integrated Intel GMA 4500M HD chipset graphics. We reviewed a final pre-sample, which should hardly differ from an equally configured model up for sale. 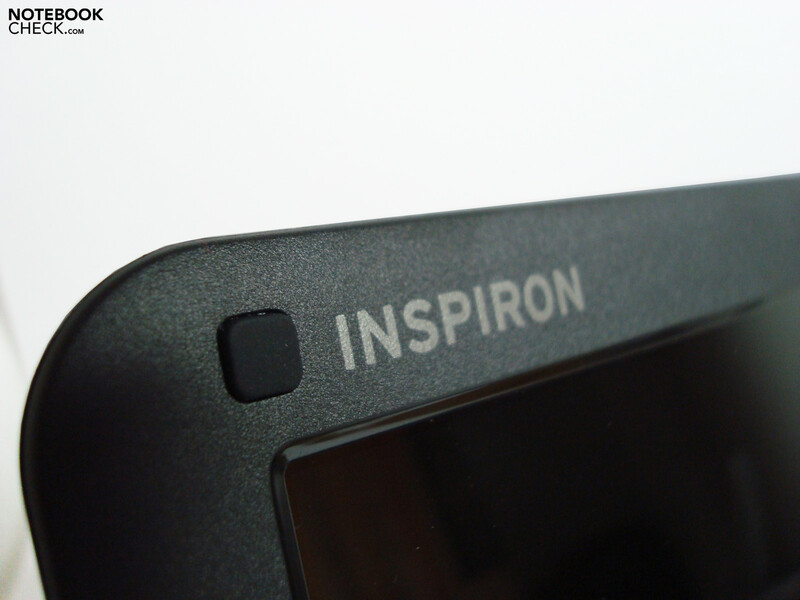 Except of the display lid and the palm rests, the reviewed Dell Inspiron 13z uses matte, slightly roughened surfaces. Already at first glance it looks robust. While the palm rests and the touch pad have a silver, easy to clean, finish, fingerprints quickly and visibly collect on the obsidian black, textured, high-gloss lid. Because of the texture at least small scratches and dust are not that eye-catching. Overall the appearance reminds on years gone by, when notebooks were usually black and silver. In case you'd prefer a more striking notebook, you could also select a "Cherry-red" finish for 49.- Euro extra. Although keyboard, palm rests, and touchpad have quite different surfaces, these feel all nice to the touch and are very functional. These also profit from the robust plastics already mentioned above and allow hardly any twisting. 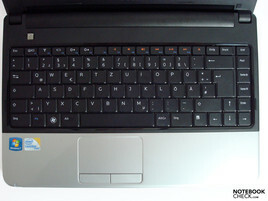 The areas of the speakers above the keyboard, the palm rests, and the bottom are very stable too, and cannot be crimped. 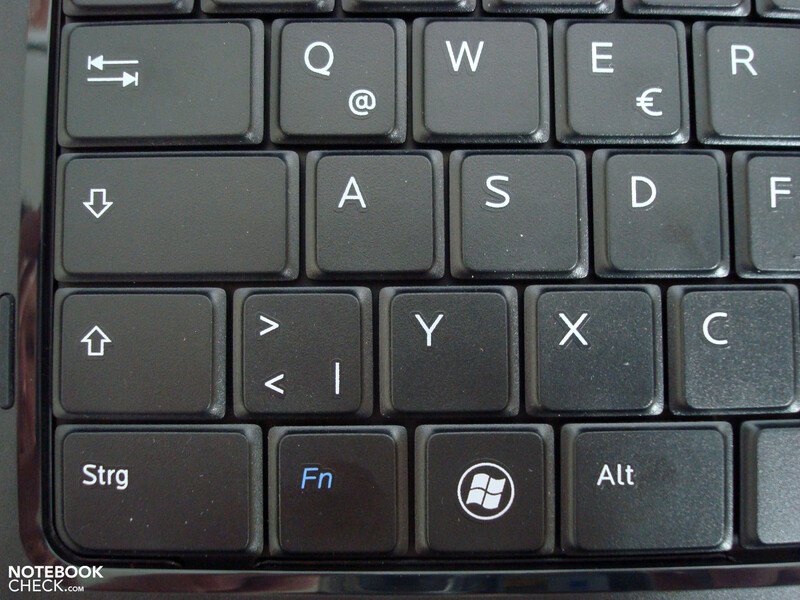 Also the stability of the keyboard is good, yet not ideal, because it gives already upon medium pressure. The hinges are able to absorb slight vibrations. However, they cannot cope well with a heavier tremble, as e.g. during a train ride, and the display starts to seesaw. In such a situation you can observe that also the hinges, which are apparently too small, sag. The stability of the lid meets its protective function. So, restrictions are not to be expected in practice. Altough the frame is not absolutely flexural rigid, we could not provoke distortions at the powered screen. 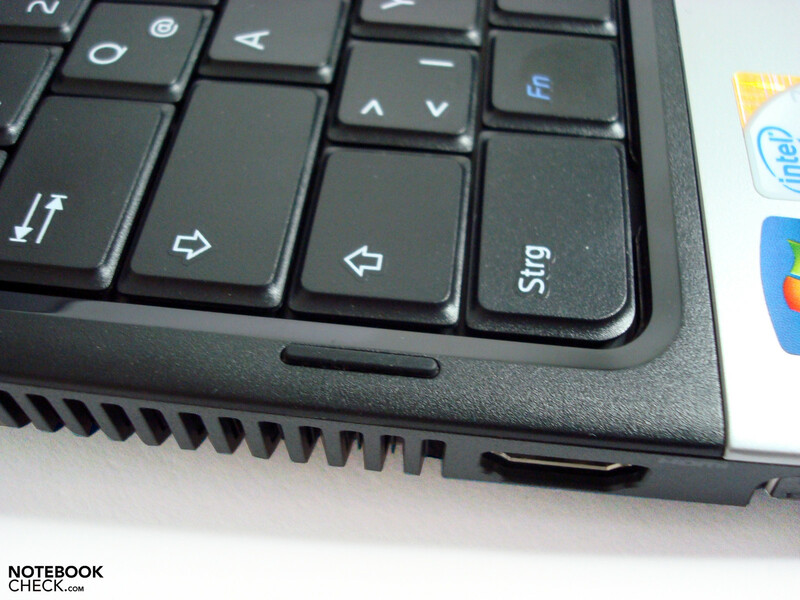 If the notebook is closed, small foam nubs keep display and keyboard in an appropriate distance and prevent marks on the screen. The very big and firmly connected 80 Wh battery increases the height of the chassis by about 16mm and is locked by two latches. 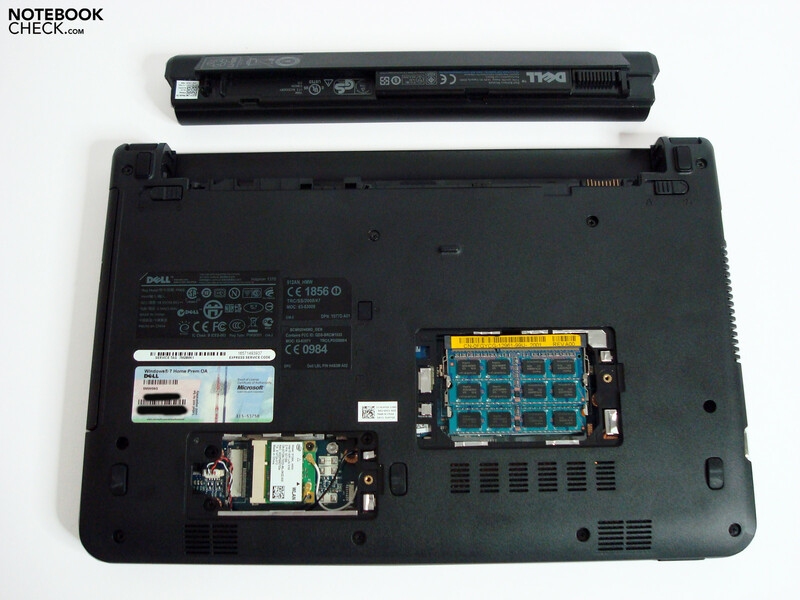 With this battery the Inspiron 13z is 330mm(W) x 48mm (H) x 225mm(D) big and weighs 2010 g. If you go for a 4-cell or 6-cell battery, the size will decrease and so will the battery life. 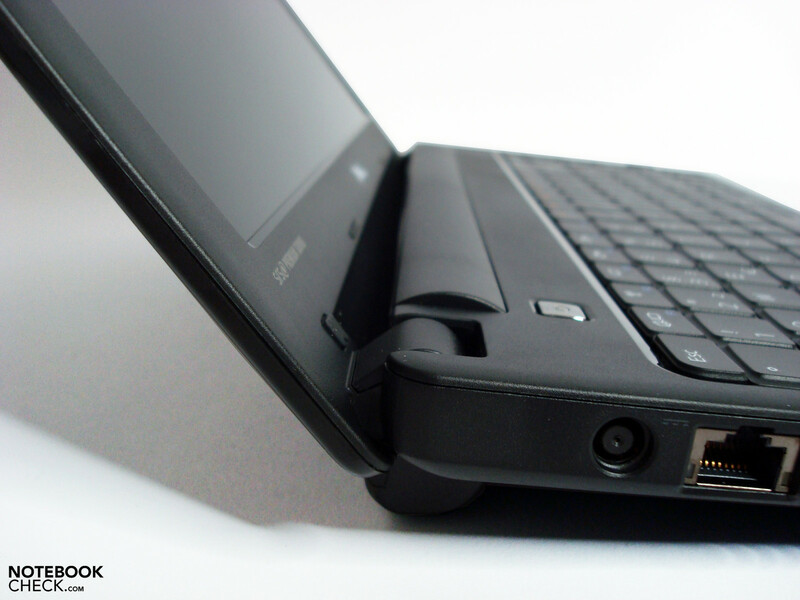 Because of its rubber feet the notebook stands also without battery stable on a desk. The usual standard interfaces for connecting peripherals are available. With three times USB 2.0, ethernet, analog VGA-out, audio in/out (combined), card reader (7-in-1), and Kensington securiy slot it is ready for most fields of application. 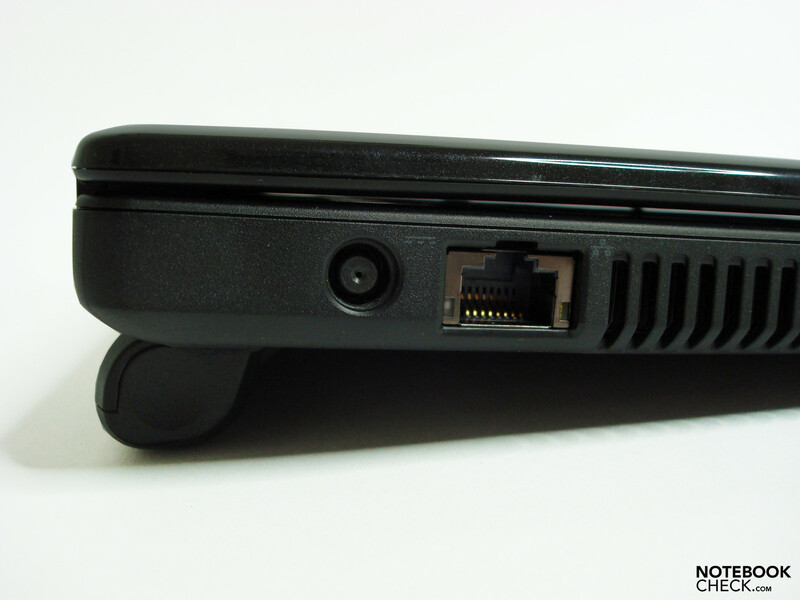 A further pro is the HDMI port, which allows a digital connection of flat screen TVs and displays (in case the screen has a display port or DVI port an adapter is needed). In addition HDMI also allows to transmit audio data (HDMI to HDMI), which reduces the number of cables. 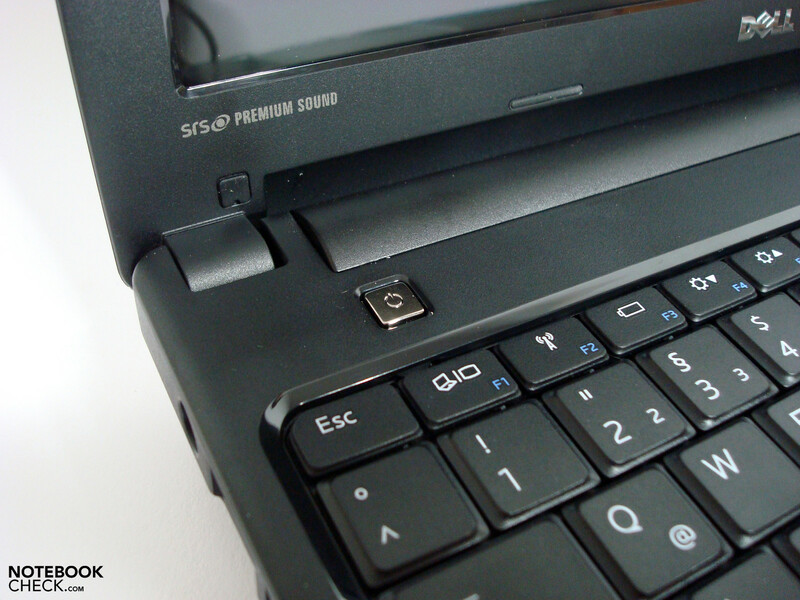 This Inspiron laptop has an optical drive built-in, which is not commonplace in slim subnotebooks. This simplifies installation of software and backup of data. 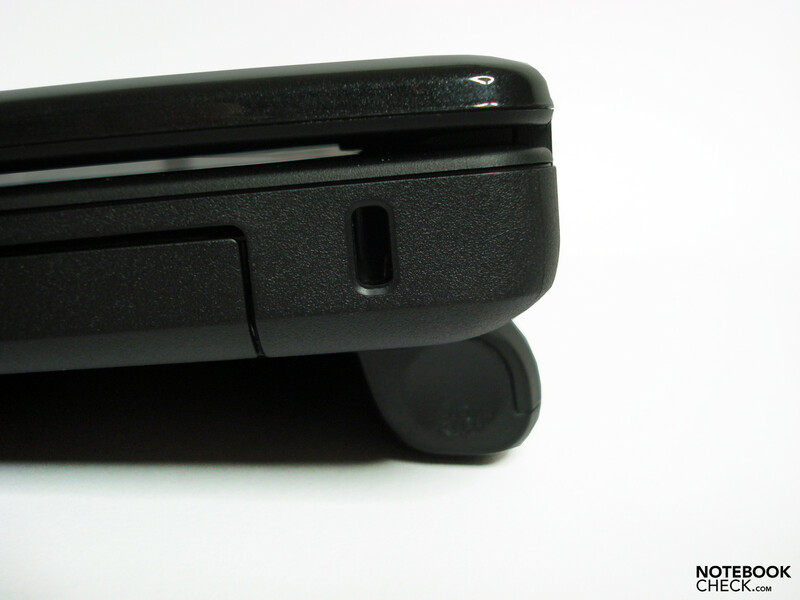 Due to the battery, which occupies the rear, only the flanks and the front can house interfaces. In addition, the built-in DVD-burner takes most of the right. While power-in, ethernet, and Kensington lock are at the back area, VGA, HDMI, and all USB-ports are positioned close to the front and in a way that is not completely free of conflict. Depending on the usage connecting peripherals can adversely affect the handling. 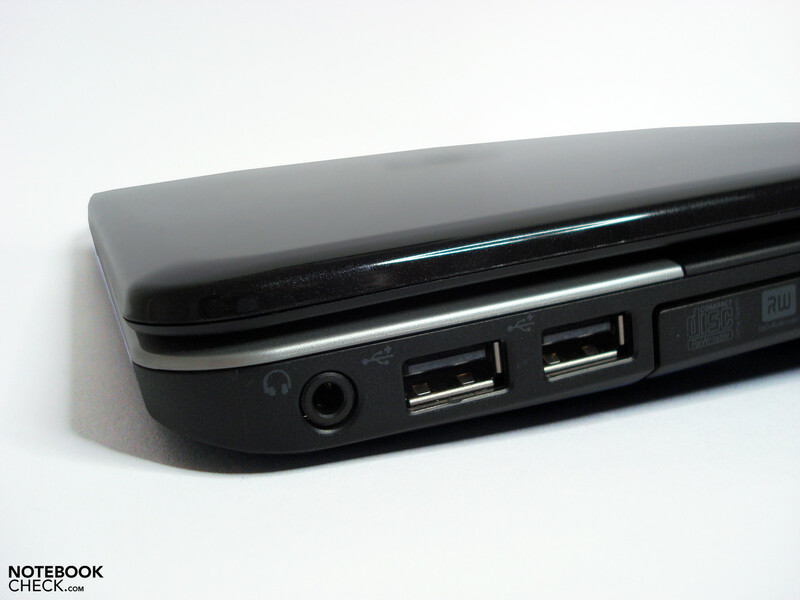 In terms of wireless communication the Inspiron 13z features Bluetooth 2.0 and WLAN with draft-n support. According to Dell, they are not going to offer an UMTS option. The performance of the interfaces is standard. 26.4 MB/s for USB, 18.3 MB/s for SD-Cards, 7.1 MB/s for XD picture cards, and 18.8 MB/s for SDHCs are usual values. In contrary, the VGA signal was not satisfying. At resolutions of 1024x768 pixels and more the picture on the external screen is visibly blurred. 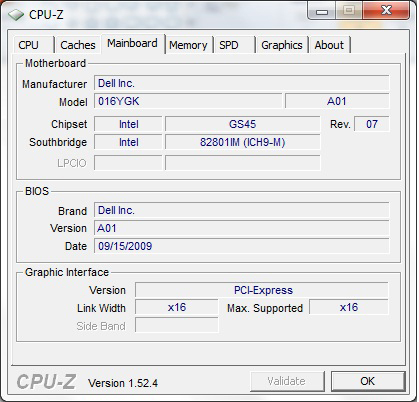 Dell pre-installed the brand new Windows 7 Home Premium 64-Bit release on our test sample and does not consider offering alternative operating systems. Besides Cyberlink PowerDVD DX Player also Microsoft Works 9, which is at least useful for basic tasks like word processing, belongs to the scope of delivery. Regarding battery the customer can choose between the 80 Wh 8-cell battery (as in the reviewed notebook) and the 37-Wh 4-cell alternative. In addition it is possible to select a 32 Wh 4-cell battery or a 48 Wh 6-cell battery as second battery. 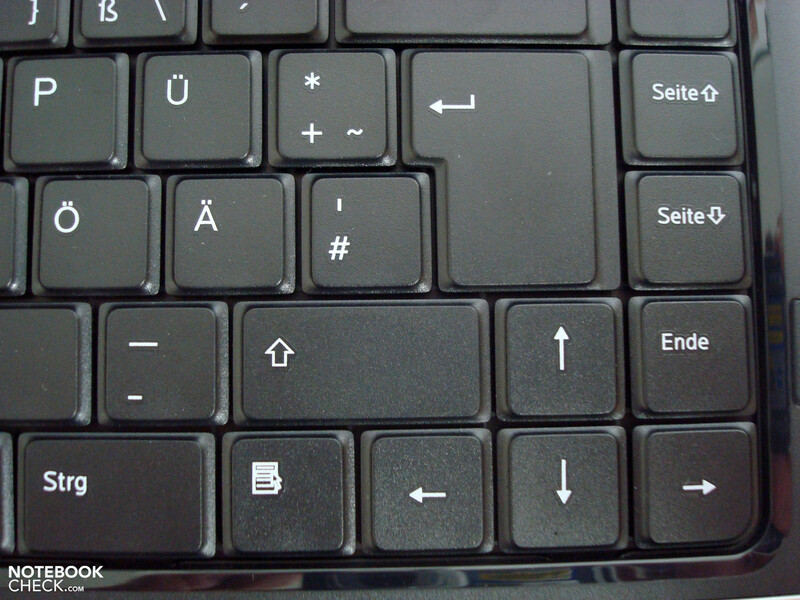 Because the keyboard utilizes nearly the whole width of the case, it can in general convinces with big keys. 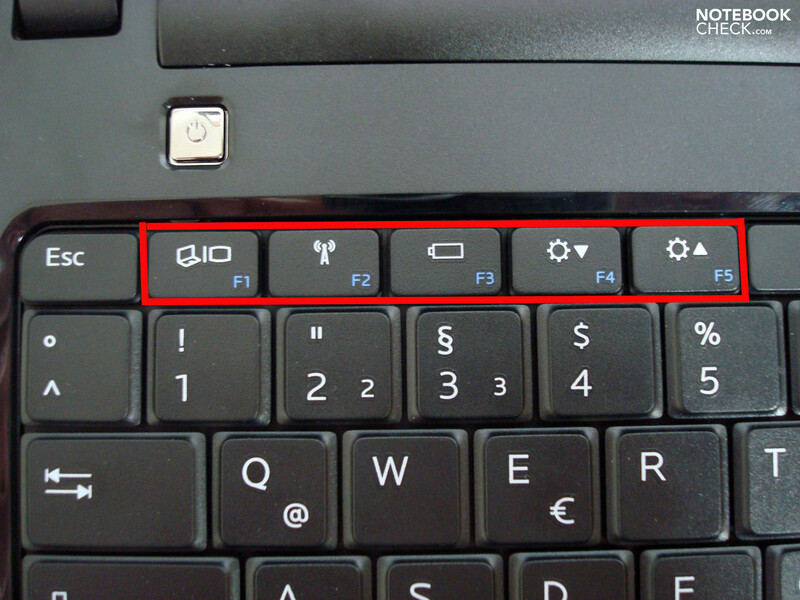 It is a pleasure to use the cursor keys and the page up/down keys, which are full-size and not shrunk. However, we would have preferred a bigger Del key, because it is only half-size. Overall, the layout is acceptable. 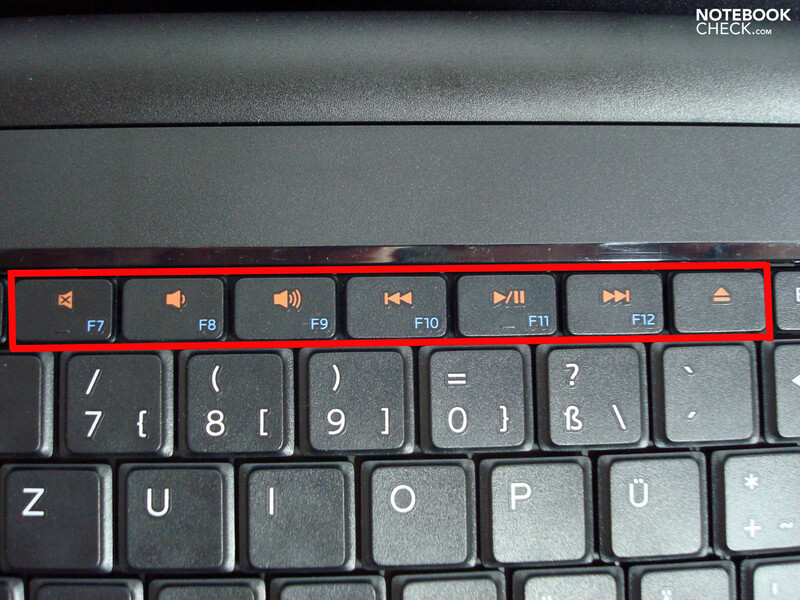 The keys feature a high-contrast labeling, which we especially appreciate when using Fn-key combinations. The stability of the keyboard area is satisfying. It only slightly gives in if stronger force is applied. Typing in a usual way should, therefore, be trouble-free. Because of the mechanical properties of the keyboard, like medium-short travel and agreeable feedback, typewriting is a pleasure. The touchpad is slightly sunk in the palm rests and has an agreeable size. So, there is plenty of space for navigating and the borders of the sensitive area are evident. Precision and gliding traits are good. 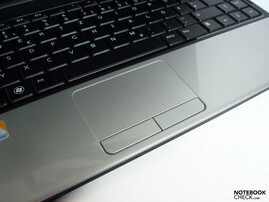 The touchpad buttons are free-moving and convince by sensitivity. A multi-touch feature is not apparent. standard layout of Ctrl, Alt, etc. 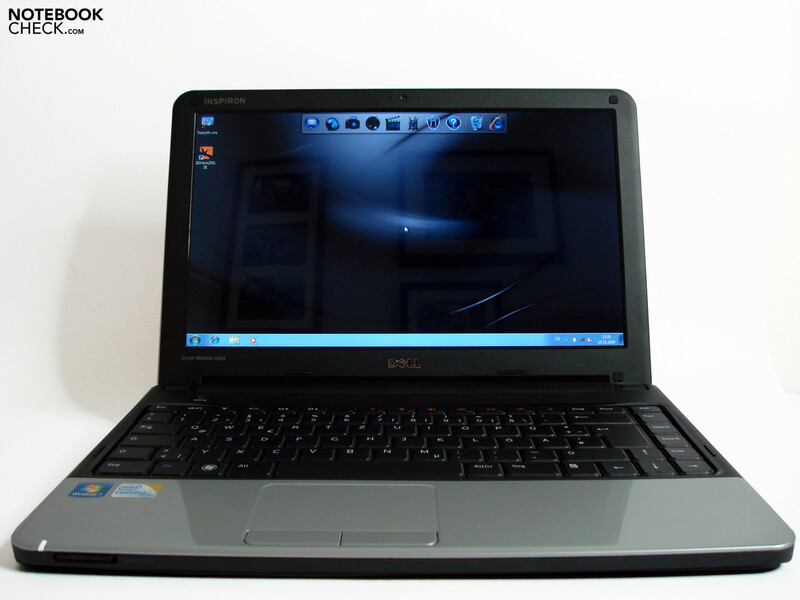 The 13.3 inch WLED screen of the Dell Inspiron 13z from AUO features a native resolution of 1366x768 pixels and a glossy true-life surface. This is by no means not extraordinary for a consumer notebook by Dell. The resolution results in a 16:9 HD format, which is advantageous for multimedia applications, like movies and games. In the middle of the screen we measured the maximum brightness of 204 cd/m². This brightness falls to the edges and reaches the minimum of 172.1 cd/m² in the right bottom corner. This gives a rather even illumination of 84%. So, uni-colored backgrounds appear uniform and not at all cloudy to the naked eye. Because of the heavily reflecting surface you'll often need to adjust the ambient light, the sitting posture, and the opening angle of the display in order to minimize the interference. Displaying dark pictures in a bright room or permanently changing environments (e.g. train ride) worsen the situation. Furthermore, the user should abstain from wearing bright clothes. The very bright background light qualifies the affects of the reflections. Although the sensibility varies between different users, the screen can not be considered absolutely eye-friendly or ergonomic. The reflections at least a disturbing. Outdoors the impact of this disadvantage is even bigger. Therefore, it is only possible to work to some extent comfortably in the shade. Do not even consider working in the sun, because you won't recognize much of the displayed contents. Houses, persons, plants etc. are heavily reflected and interfere with windows and icons displayed. Objects of the environment are highly visible. 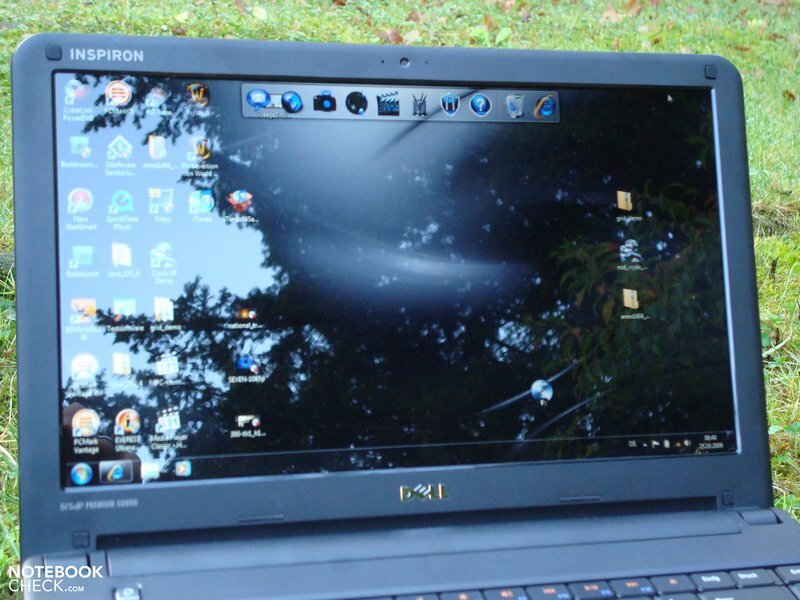 According to Dell the built-in screen features an enhanced color space. Also subjectively the colors seem stronger than those of most notebook displays. The contrast ratio of 169:1 is on par with competitors, but this is compensated by a better color saturation. The viewing angle stability is above average in horizontal direction and allow more persons to watch a movie together. In contrary, the vertical dependency is quite high and already results in pale or inverted colors upon small changes of the opening angle or the sitting posture. 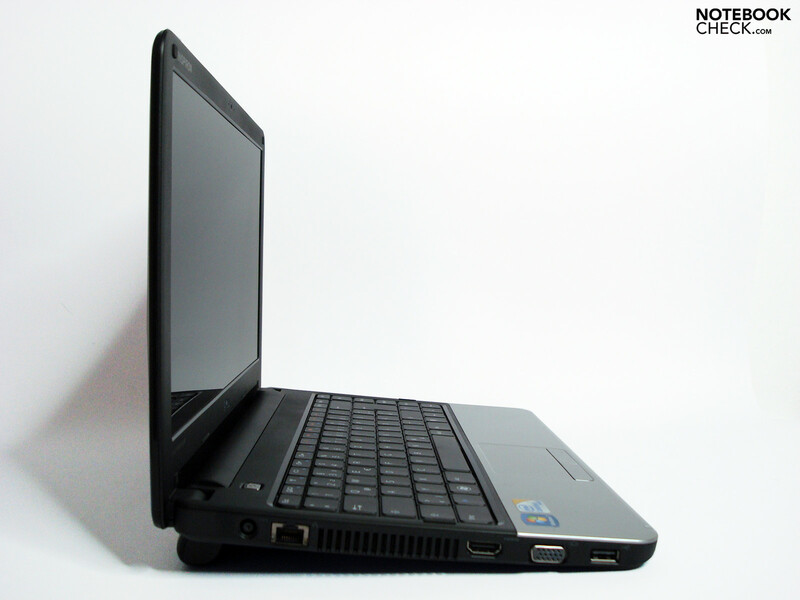 The reviewed Dell Inspiron 13z is equipped with an Intel Core 2 Duo SU 7300 CPU, with a clock rate of 1.3 GHz and 3MB level-2 cache. 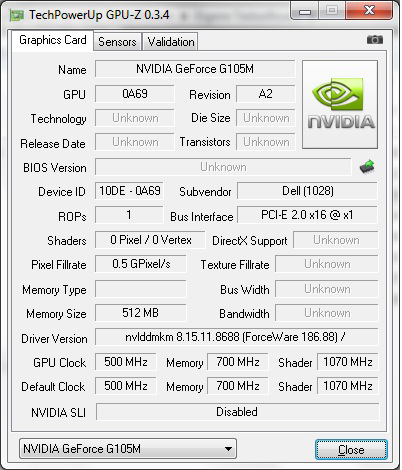 Nvidia's Geforce G105M with 512MB dedicated video memory is responsible for the graphic output. 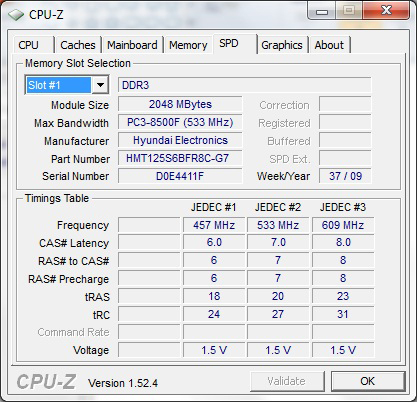 In addition, four GB DDR3 RAM and, somewhat unusual in this notebook category, a 320 GB hard drive with a velocity of 7200 rpm contribute to the total performance. 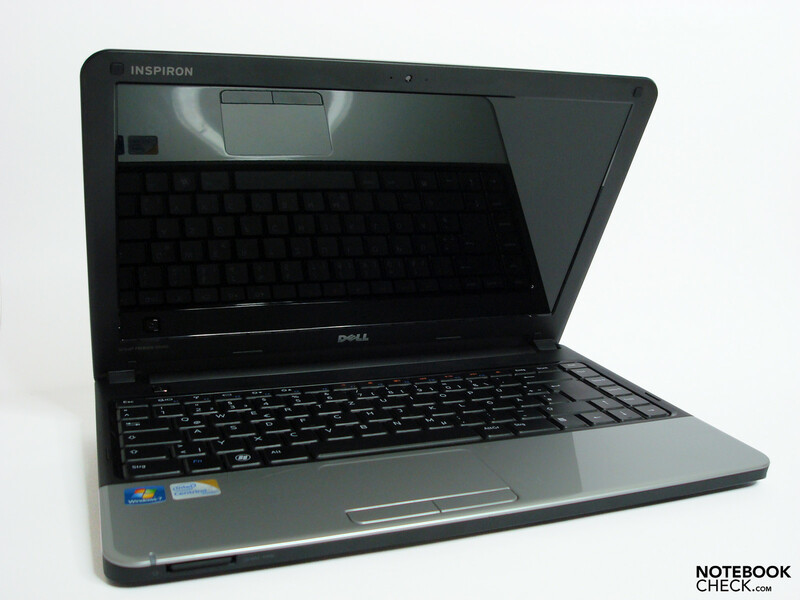 Therewith the Inspiron 13z is quite well equipped and offers sufficient reserve capacities for most home applications. This is proved by the result of 3104 points in the PC Mark Vantage. Of course office applications like word processors, spreadsheets, databases, and browser are no problem at all. It was even possible to very smoothly edit pictures in Photoshop Elements, while more than 20 2272x1704 pictures were open at the same time. Thereby the system never ran at capacity. 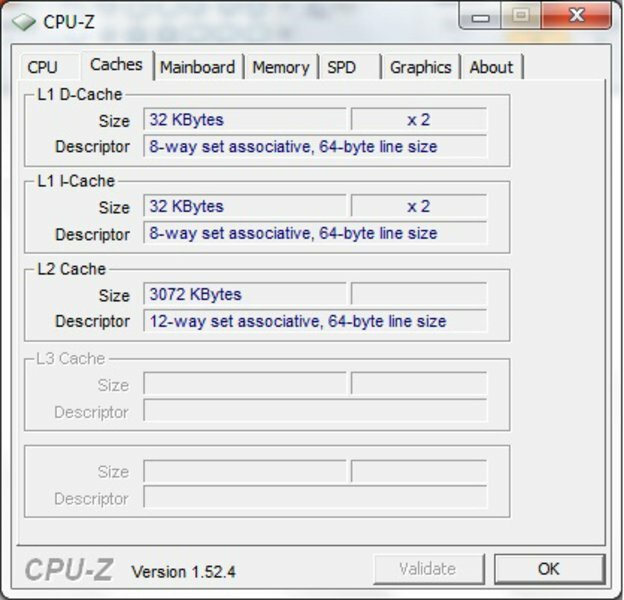 Because of the dual core CPU it is possible to run more programs at a time without big restrictions. Browsing the Web, listening to music, editing texts etc. can be executed in parallel. Without graphic accelerator the system can play our full-HD test videos in H.264 format smoothly at a system load of 65%. If you use a player with GPU-accelerator like, e.g., the current version of Nero Show Time, Cyberlink Power DVD, or Media Player Classic, the CPU load partly drops to below 20% (Media Player Classic). Of course movies with lower resolution in H.264 format, e.g., the ones we bought from iTunes Store, also run smoothly and trouble-free with iTunes. 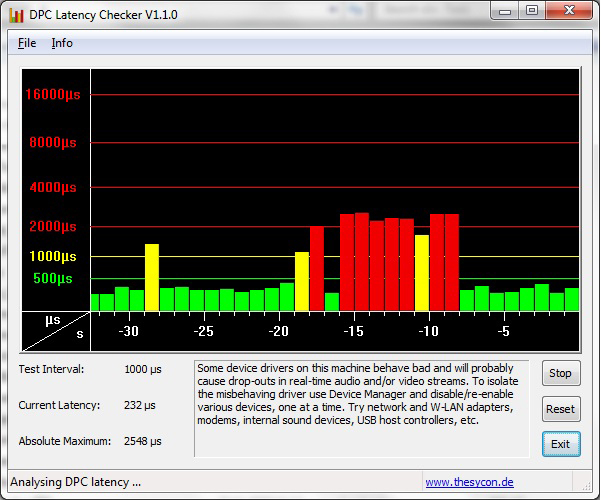 We have also tested the latencies under Windows 7 Home Premium, using the tool DPC Latency Checker. Although they were in the green most of the time, they exceeded multiple times just the 2000µs level, the start of the critical range. This can lead to synchronization errors during the use of external periphery, such as sound cards. Because of its CUDA engine the Geforce G105M graphic card can cope well with conversion tasks. It allows the GPU to perform tasks usually run by the CPU and an enormous performance gain compared to conventional CPU conversions is possible. For this purpose we already used the media converter Badaboom from Elemental, which is optimized for Nvidia's CUDA engine and, so, takes much advantage of its potential, on the Samsung N510. Once again we converted movie-DVDs without copy protection to the H.264 format with a resolution of 427x320 pixel optimized for iPhones and directly compared its performance to the Samsung N510. The Samsung N510 has a conversion performance for the same task of 24 fps, a Mac Mini with Geforce 9400, 2GB DDR3 RAM of 39 fps and the reviewed Inspiron 13z of 31,9 fps. Conversions of MP3 files to the AAC format via iTunes can be done by the Intel SU7300 CPU with 14.3 times velocity in average. Compared to a netbook with Intel Atom N270 this is about three times faster. 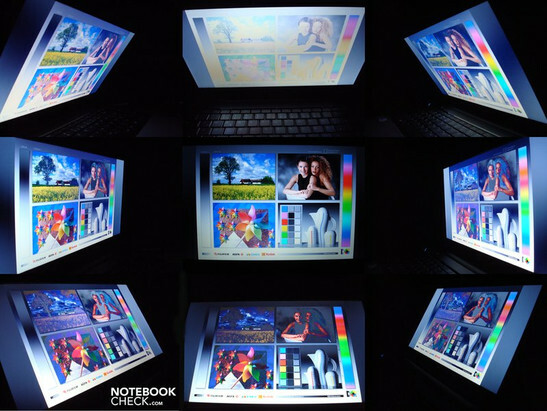 2422 points in 3D Mark `06 prove that this notebook features a graphic card which is clearly more powerful than those chipset solutions usually used in this notebook category. In practice, however, it gets quickly obvious that you cannot really enjoy all games. While shooters like Crysis run smoothly at low settings, flair and atmosphere diminish with these and, so, playing is hardly fun. The situation is better with games like Racedriver: GRID, World of Warcraft, and Sims 3, which allow to adjust detail level and resolution quite freely. You could for instance run the game at the native resolution of the screen of 1366x768 pixels in order to maximize the overview and limit the graphical effects. As long as there are only a few units and buildings at the map Anno 1404 seems to run sufficiently fluid. However, the recorded 26 fps at low settings means that there are not much reserves for growing villages and maps. Therefore, it is recommended to try a test version of Anno 1404 first. 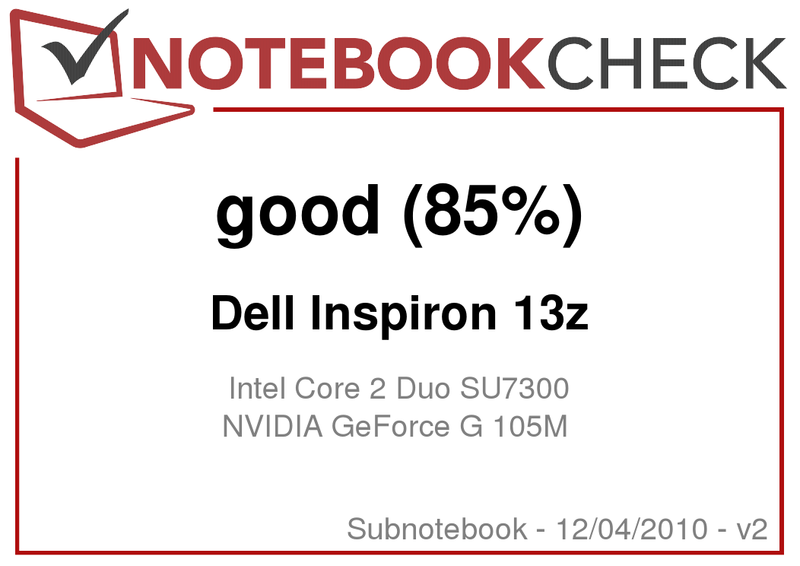 The gaming performance of the Inspiron 13z is for a Subnotebook quite good. Decreasing quality level and resolution at least some popular games run smoothly. 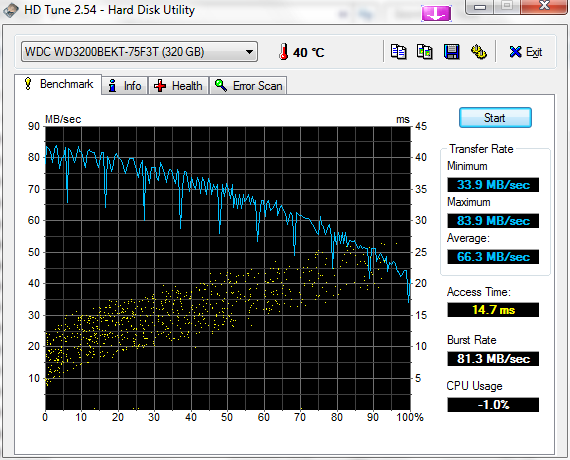 A 2.5" hard drive with 7200 rpm like the one in our test sample from Western can seldom be found in consumer notebook. A rotation speed of 7200 rpm is a desktop level and more likely used in notebooks for professionals. So, the excellent maximum transfer rate of 83.9 MB/s is not surprising. Although the average transfer rate falls to 66.3 MB/s not least because of the low minimum of 33.9 MB/s, the result is pleasing. 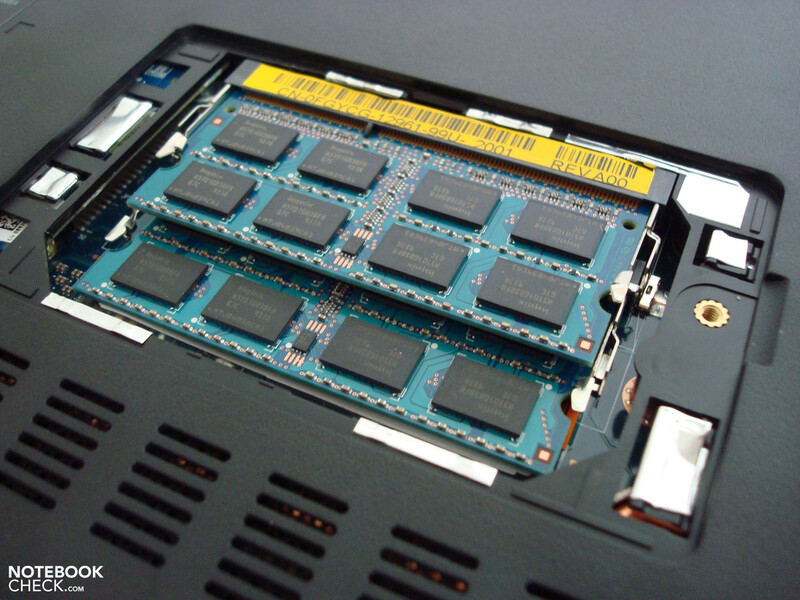 Even higher transfer rates and shorter access times are possible with SSDs. However, up to now Dell does not offer such for the Inspiron 13z. 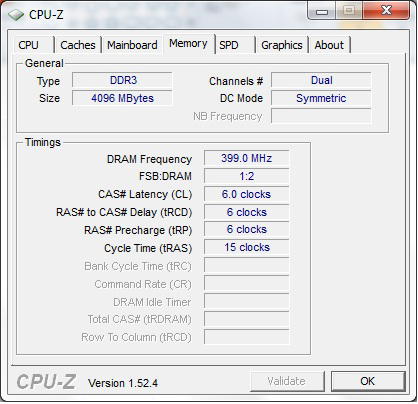 Despite relatively powerful components inside a small case, the system noise is overall agreeably low. Not only is the noise characteristic more or less steady, but also the measurements prove a low noise level. Idling we recorded 31.4 dB(A). So, the Dell Inspiron is only audible in very quiet environments. Depending on the energy profile the noise level can raise up to 34 dB(A) at low load, and the sonorous noise is hardly obtrusive. During use of the DVD drive the noise level reaches 36.3 dB(A). So, the DVD drive's noise can especially be heard during quiet scenes of a movie. As an alternative you could play the movie files from hard disk. 39 dB(A) under full load are no fun any more and will likely annoy the user after a short period of time. Fortunately this scenario will be seldom in practice. Obviously, the system noise is low at the expense of higher case temperatures. 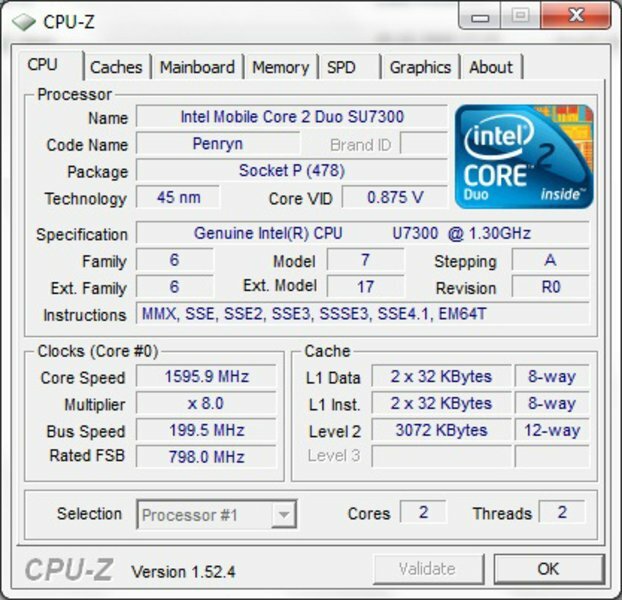 When working at high CPU and GPU load you might feel inconvenient, because of maximum temperatures of 46.2 degrees Celsius at the touchpad area and of 46.6 to 50.6 degrees celsius at its counterpart at the bottom side. Without load and with maximum energy saving the maximum temperature of 34.3 degrees Celsius is clearly lower and unremarkable. Therefore, browsing the Internet with the notebook on your lap should not be a problem. (-) The average temperature for the upper side under maximal load is 38.6 °C / 101 F, compared to the average of 30.7 °C / 87 F for the devices in the class Subnotebook. 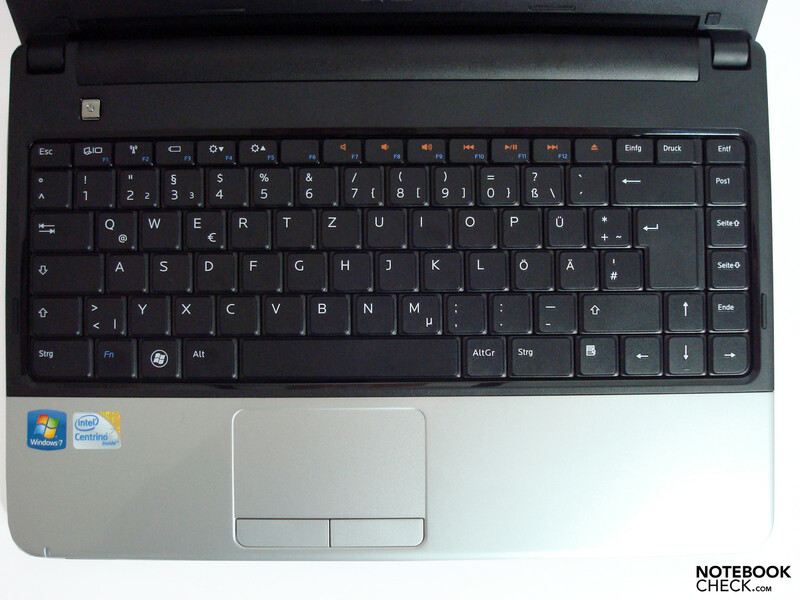 (-) The average temperature of the palmrest area of similar devices was 28.6 °C / 83.5 F (-17.6 °C / -31.7 F). Besides having a weak bass the loudspeakers located beneath the palm rests at the bottom side sound balanced. Unfortunately the sound is somewhat distorted at higher volumes. However, this is not really a problem, because the volumes with undistorted sound are already loud enough for most applications. 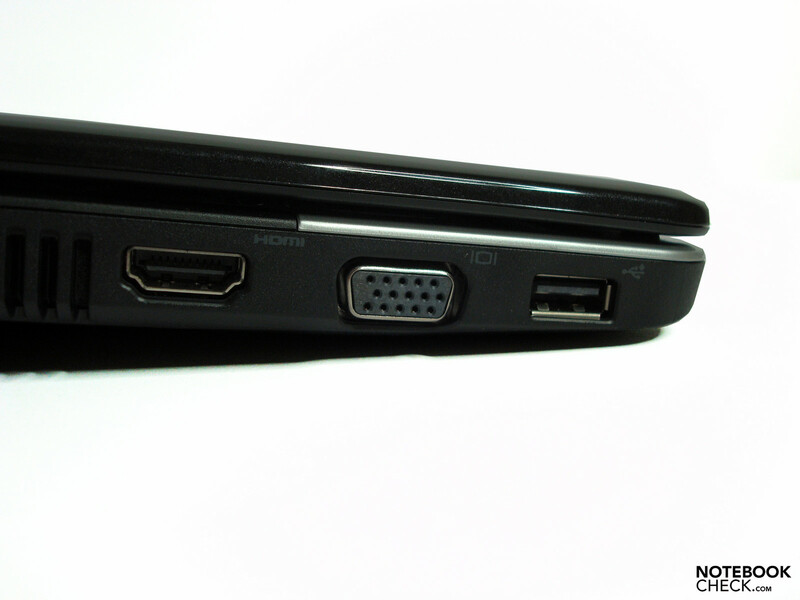 As alternatives you can use HDMI for movies, USB ports or the combined audio in/out at the right side. The excellent battery life of the Dell Inspiron 13z results on the one hand from the frugal components and on the other hand from a capacious 80 Wh battery. The minimal wattage of 9.4 Watt reflects the energy saving which follows from consequent usage of low-energy components. The Intel S7300, the LED-display, and the Nvidia graphic card, which has only low energy demands under low load, cooperate in the aspect. On the other side the components have enough power if needed and are, so, able to offer a wide field of application. 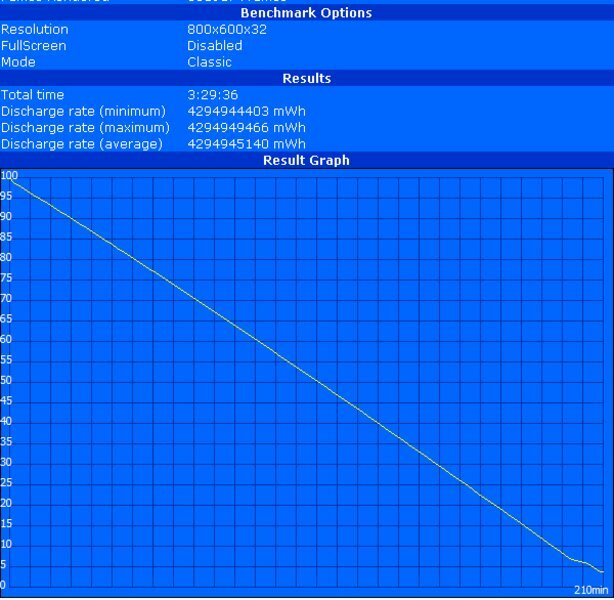 Indeed this also brings a higher energy demand, 37.5 Watt in case of our test device, about. In the Battery Eater Reader's test (maximal possible battery life at maximum energy settings) the reviewed 13z achieved a runtime of 419 min. Under full load, simulated by the Battery Eater Classic test (minimum battery life), we could still work without grid for 210 minutes. These two values are the extrema, frugality and maximum power, and differ by about 200 minutes. Depending on the usage, the runtime will be somewhere in between. Our practical WLAN-test and movie test can be considered as reference values. After accordingly adjusting the settings, i.e., brightness of the display, energy profile, and (un)necessary components off/on, we could browse the Internet via WLAN for 363 minutes or watch a movie from DVD for 242 minutes without recharging. A few month ago, such a long battery life was still unimaginable in this price category. However, the best is that the performance does not suffer and meets today's standard. 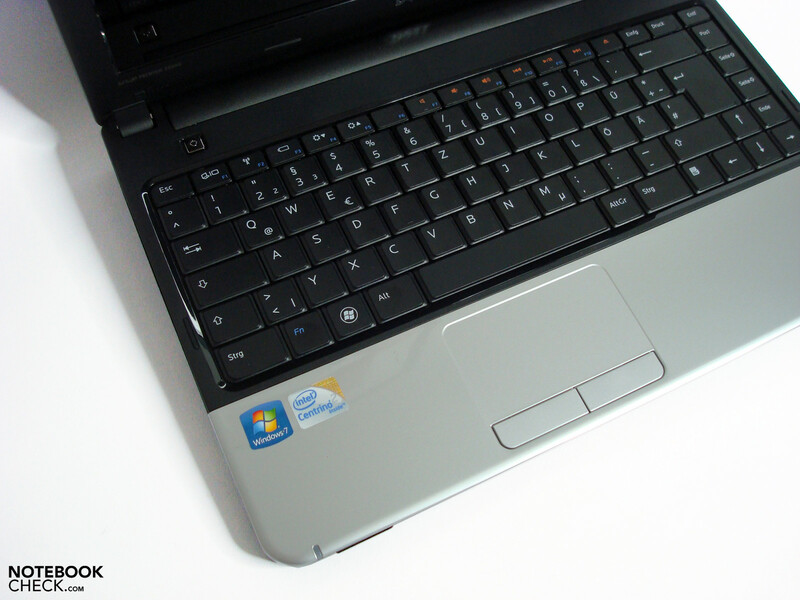 The Inspiron 13z has great potential, because its pros allow a wide field of application. It qualifies for mobile use especially with its long battery life, its low weight, and its good case quality. Unfortunately the main user interface, the display, is a disadvantage here. Its heavily reflecting surface is very restricting indoors as well as outdoors. While it is possible to minimize this effect inside buildings by some arrangements, outdoor operation is hardly possible, because the background lighting is not strong enough to illuminate the reflections. The luscious colors and the good illumination are only cold comfort. In the other hand we appreciated the good system performance, which does not only cope well with basic tasks, but also include a limited gaming capability, and clearly faster performance in special tasks like video decoding by Nvidia's CUDA engine. Those who love movies will also value the smooth replay of full HD videos and the HDMI interface. In high-gloss times the silver and black inside reminds on times gone by. 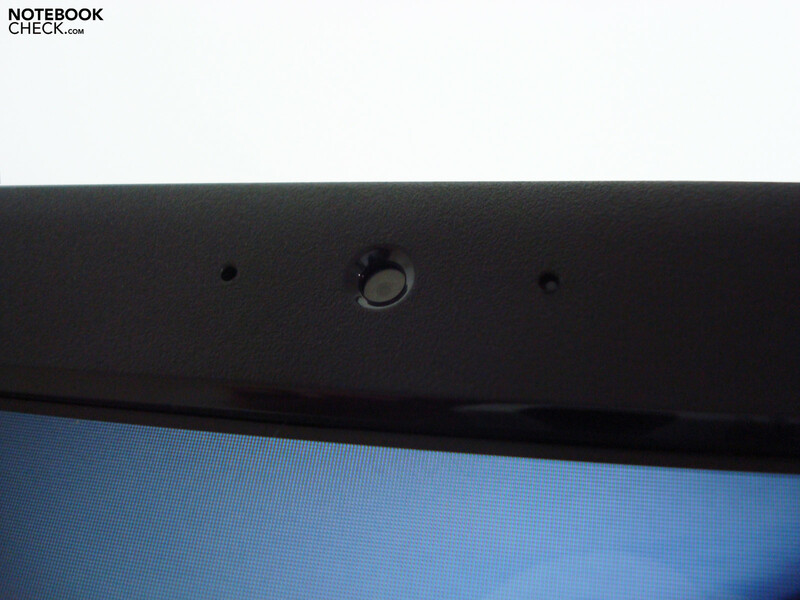 ...and the display frame prevent marks on the screen from the keyboard. The 80-Wh-Akku can be replaced by smaller alternatives. 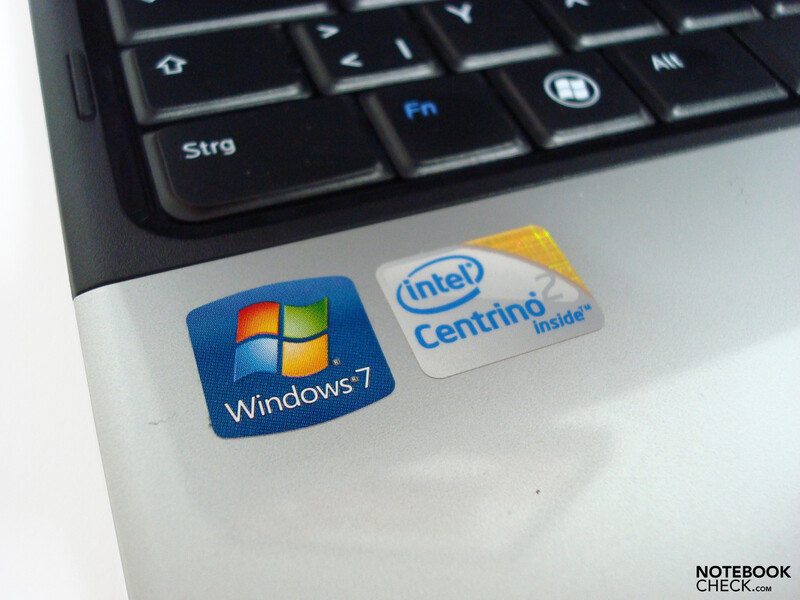 MS Windows 7 Home Premium (64-bit) was pre-installed on the Inspiron 13z. 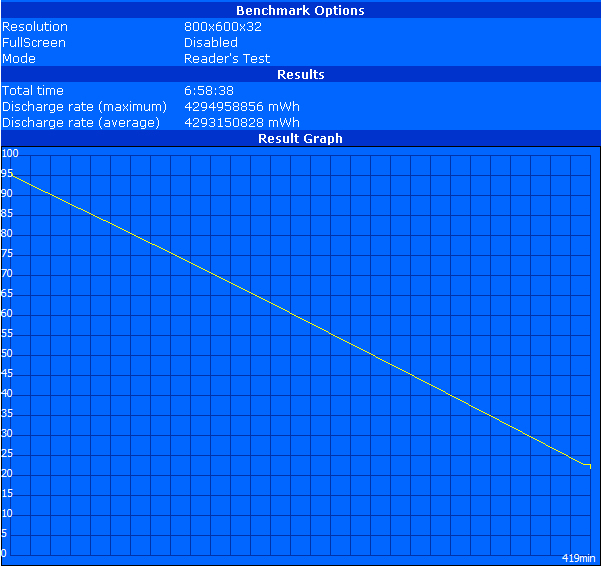 ...with decent performance despite long battery life and low weight. The capacious 80 Wh battery does not look good and increases the total height. 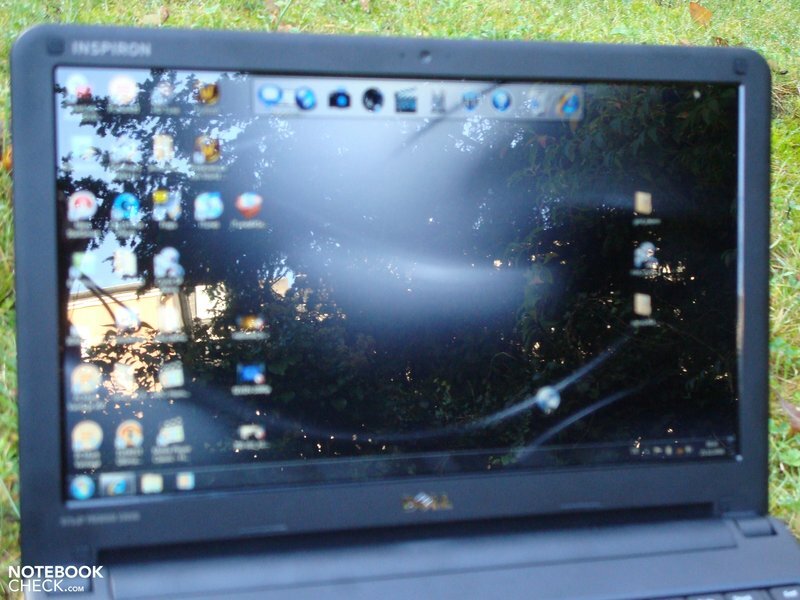 The reflecting display is not appropriate for all fields of application. 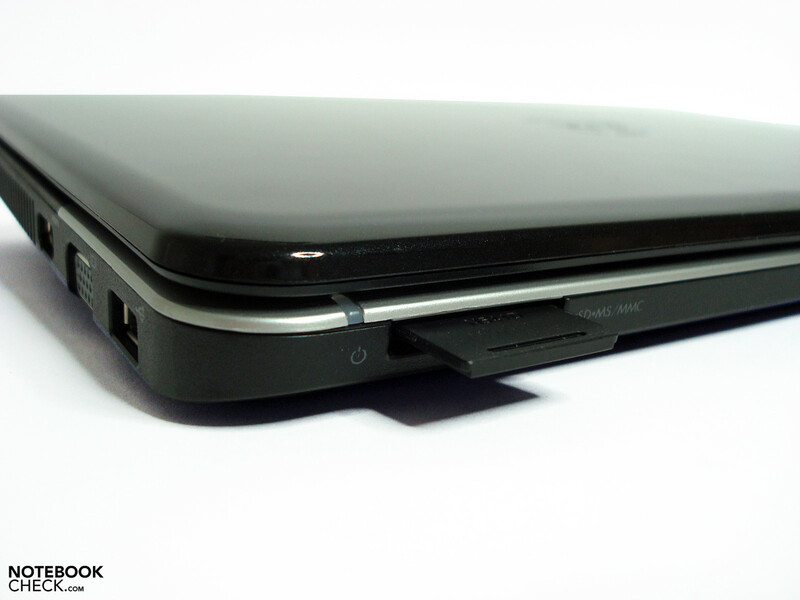 The USB interfaces close to the front are easy to reach, but cables of connected peripherals might disturb. Kensington security slot is already commonplace. Easy to use card reader at the front. 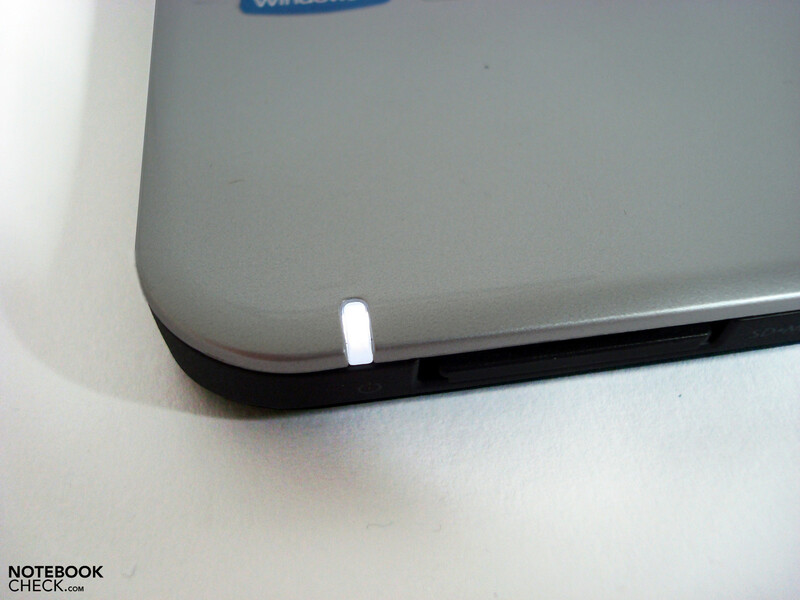 The hinges allow a slight see-saw, but can cope well with light vibrations. 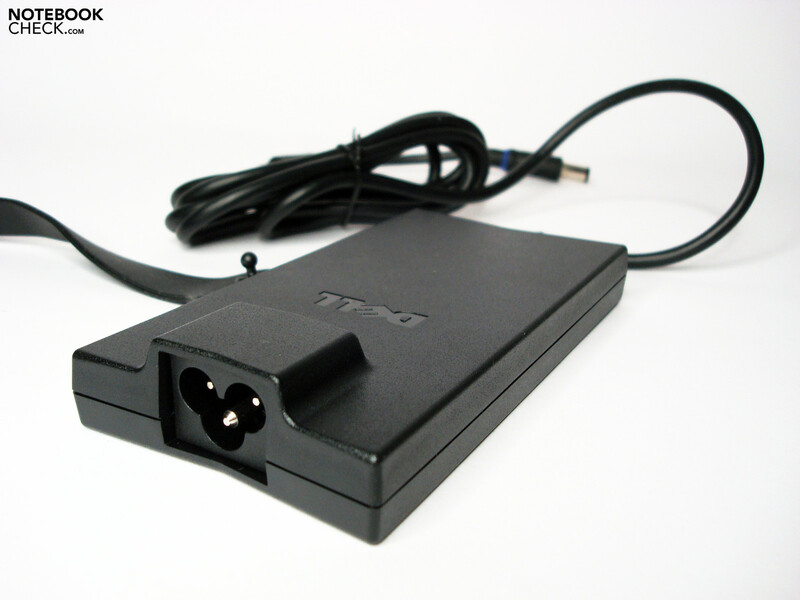 It's easy to put the very slim, yet not especially light power adapter into a notebook bag. The balanced performance and mobility. 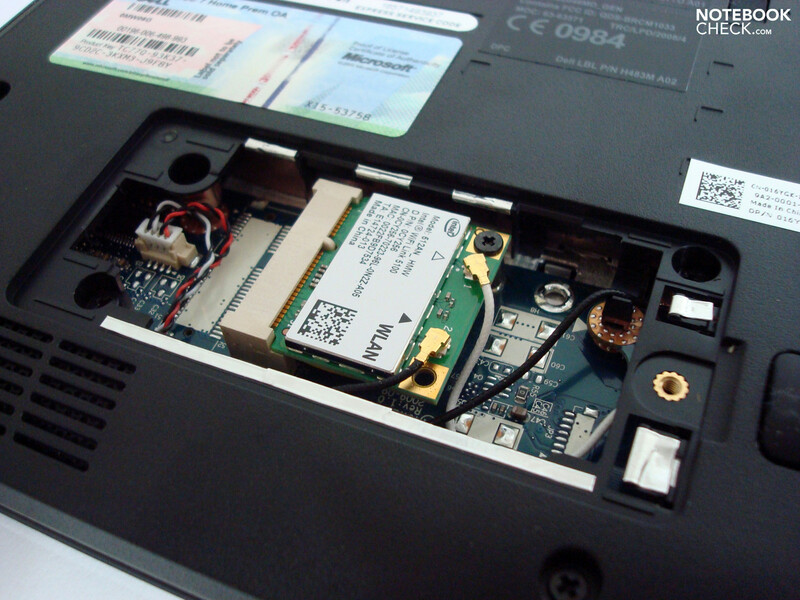 That it is possible to build such small and powerful notebooks with up-to-date components. 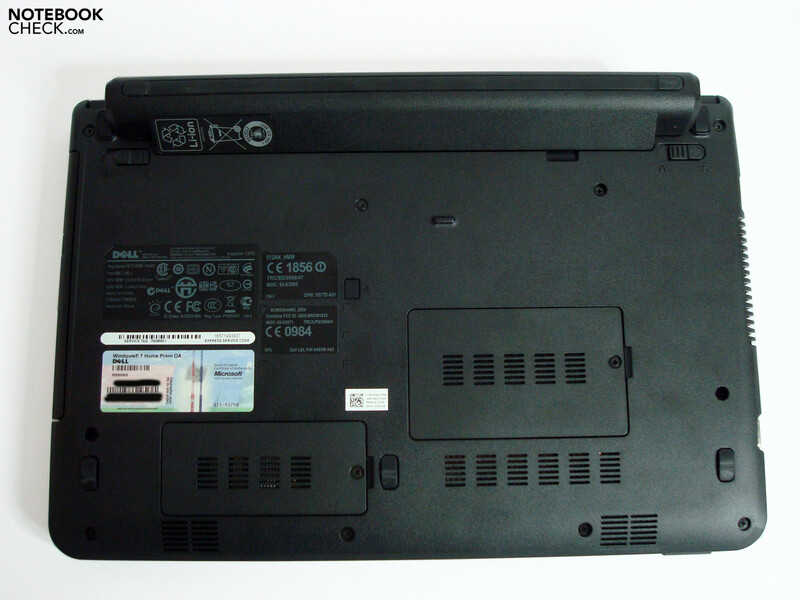 Acer Aspire Timeline 3810T, Acer Aspire Travelmate 8371, Samsung Q320, are all available or announced with dedicated graphic card and on par with the Inspiron 13z in terms of size and performance.